Hello everyone!! I hope the new school year is going great for all of you. 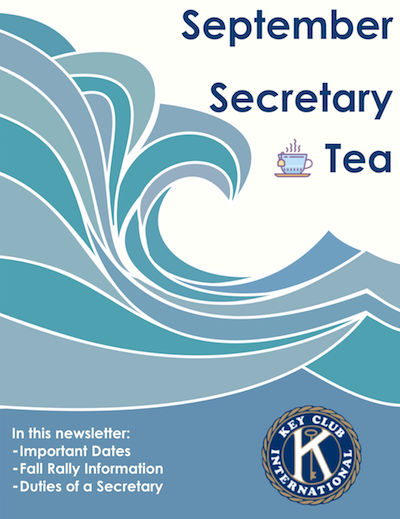 In this newsletter you will find important upcoming dates and Fall Rally information. Additionally, you will find the duties of a club secretary. I hope your school year and your Key Club year will go great.